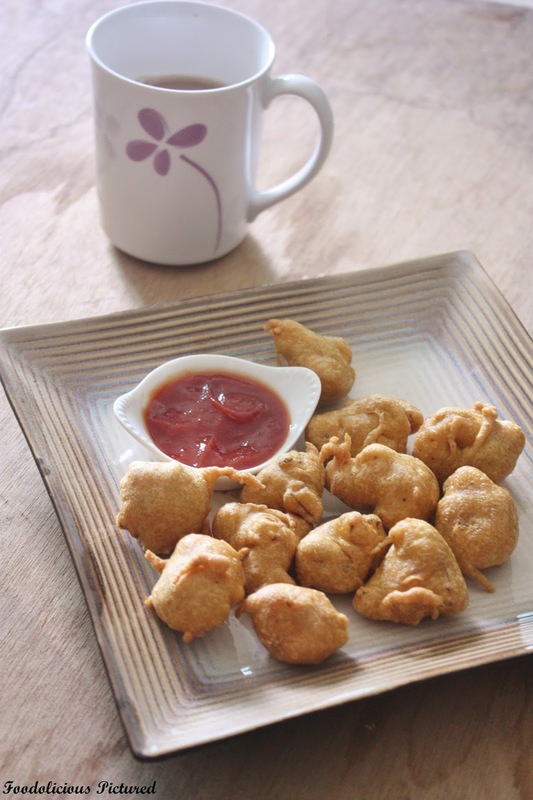 It’s been raining the whole day here and well a curving for these deep fried fitters was just obvious for tea time. These are excellent to snack on or serve them as a starter with your favorite chutney. I like it with mint-coconut chutney but today we just dipped them into some ketchup and Chili sauce. 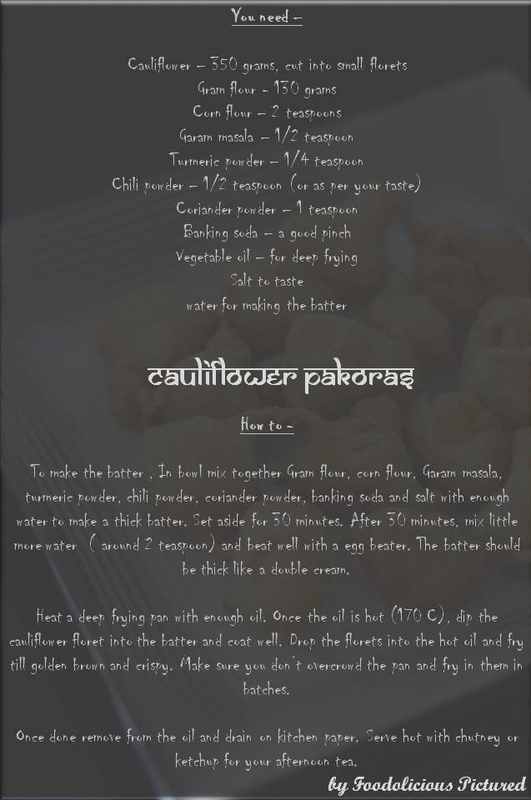 The recipe is adapted from the cookbook every Indian. 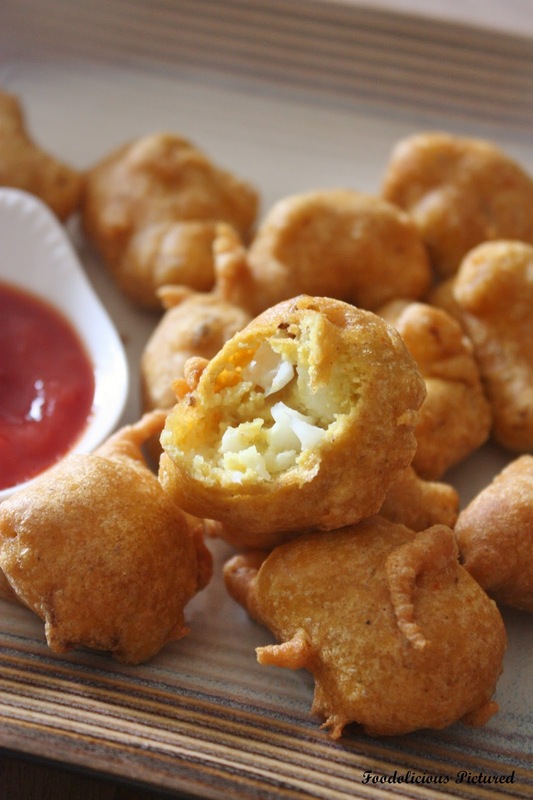 To make the batter , In a bowl mix together Gram flour, corn flour, Garam masala, turmeric powder, chili powder, coriander powder, banking soda and salt with enough water to make a thick batter. Set aside for 30 minutes. After 30 minutes, mix little more water ( around 2 teaspoon) and beat well with a egg beater. 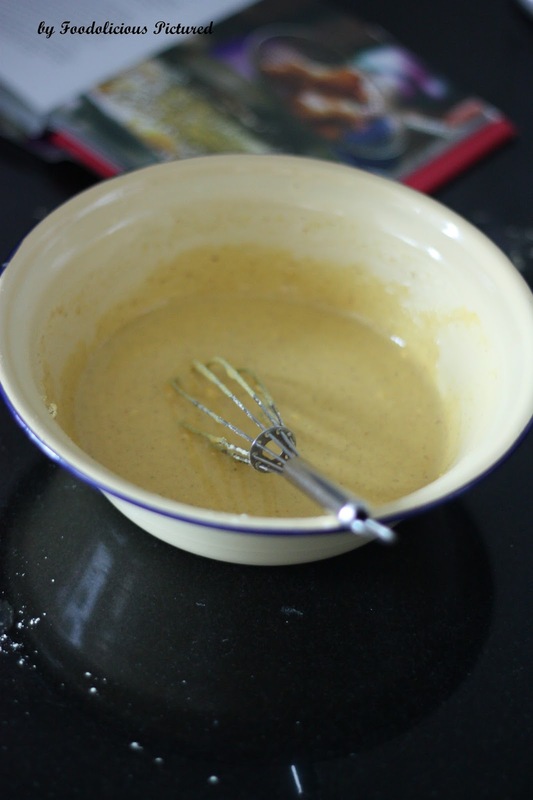 The batter should be thick like a double cream. 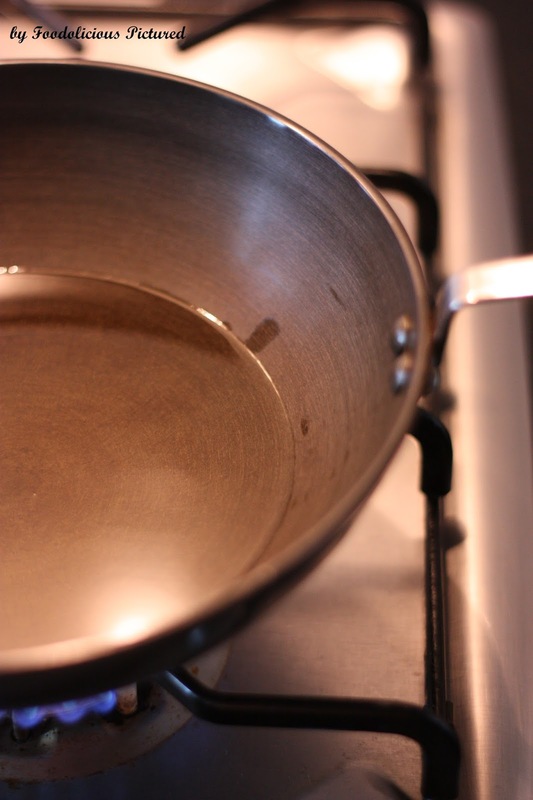 Heat a deep frying pan with enough oil. 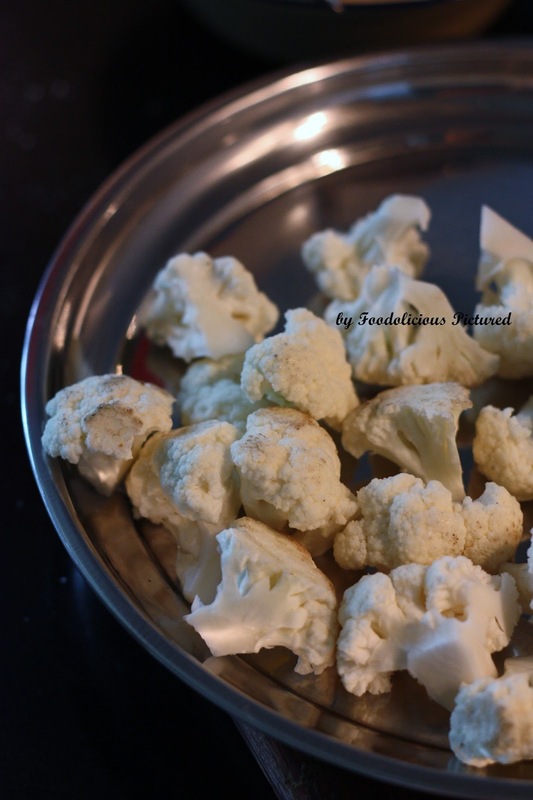 Once the oil is hot (170 C), dip the cauliflower floret into the batter and coat well. 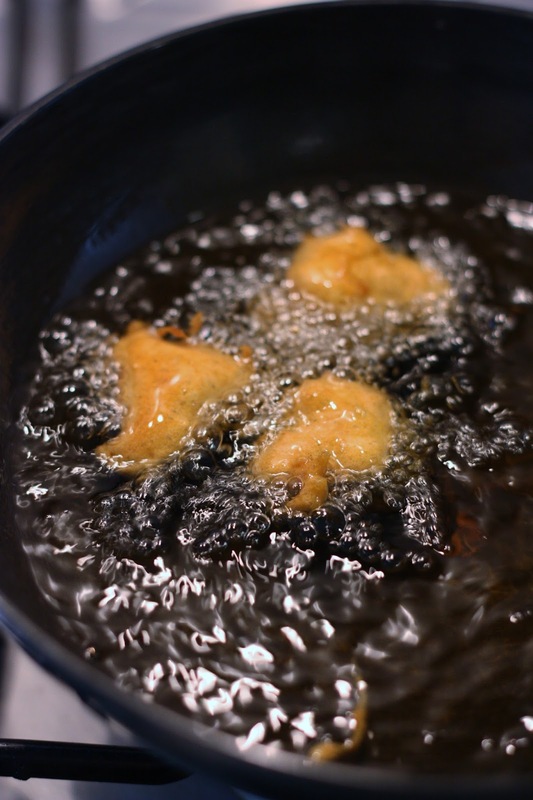 Drop the florets into the hot oil and fry till golden brown and crispy. Make sure you don’t overcrowd the pan and fry in them in batches. Once done remove from the oil and drain on kitchen paper. Serve hot with chutney or ketchup for your afternoon tea. Teatime snack has never been for us. Cooking, housework and working are already killing for me. Usually we have pakoras with rice. 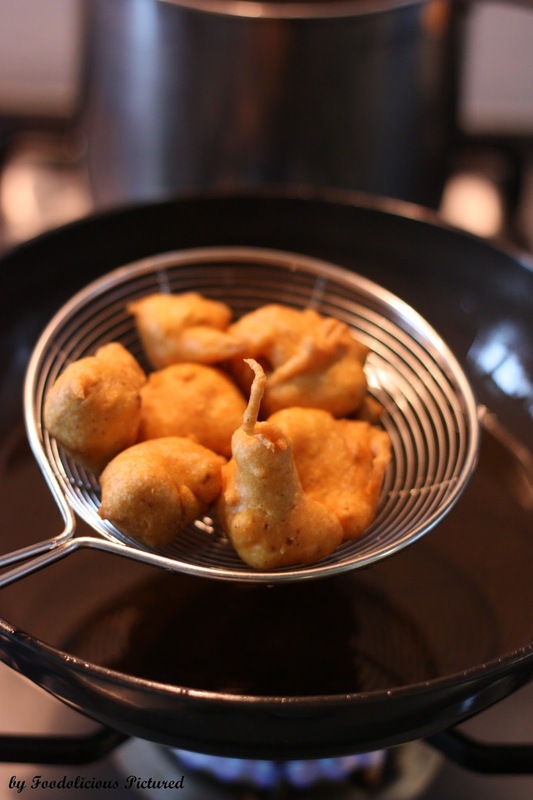 My style is very simple and I have noticed more ingredients into the batter. Need to try your version because its certainly inviting and the shape is almost perfect. The ones I fry goes all the world. This looks so good, I wish someone could fry this for me now. 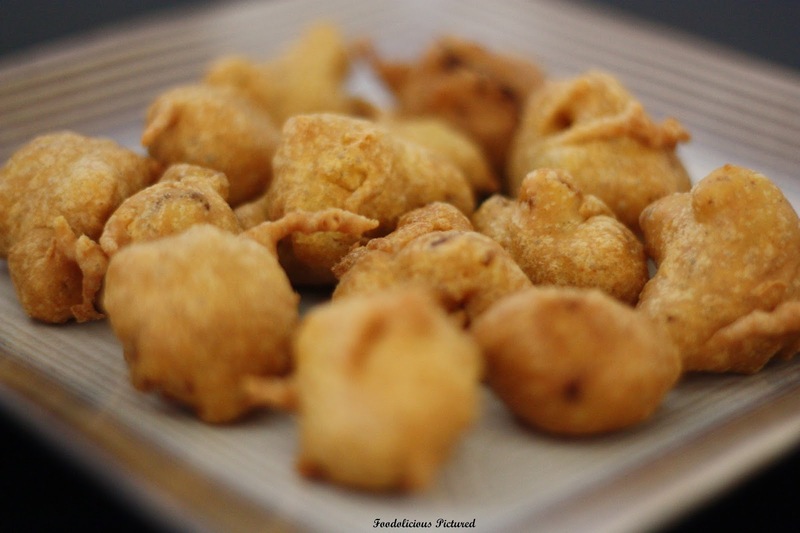 I've always preferred veg pakora over potatoes..
Love your clicks .. Perfect tea time snacks.. Tempting pakoras dear.. Love them on a cloudy eve 🙂 Perfectly done as always ! 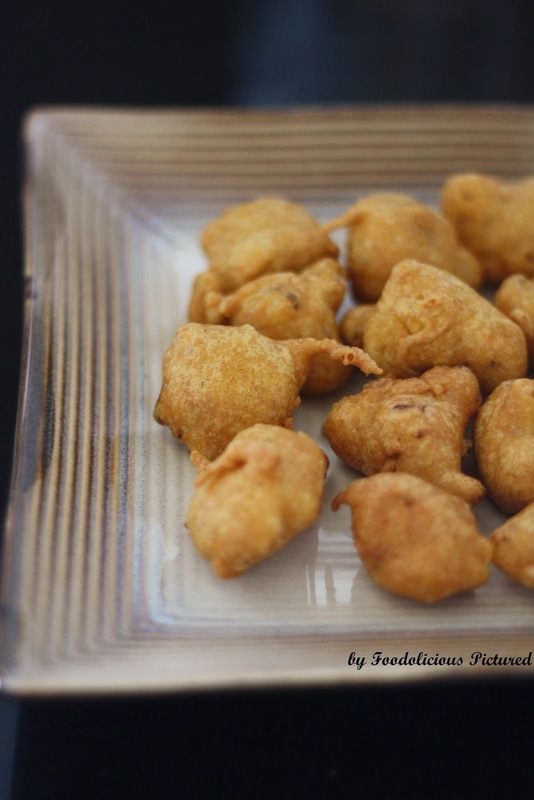 A cup of sulaimani along with this delicious pakoda is heavenly!!! your pakoras are tempting me. love to have this. 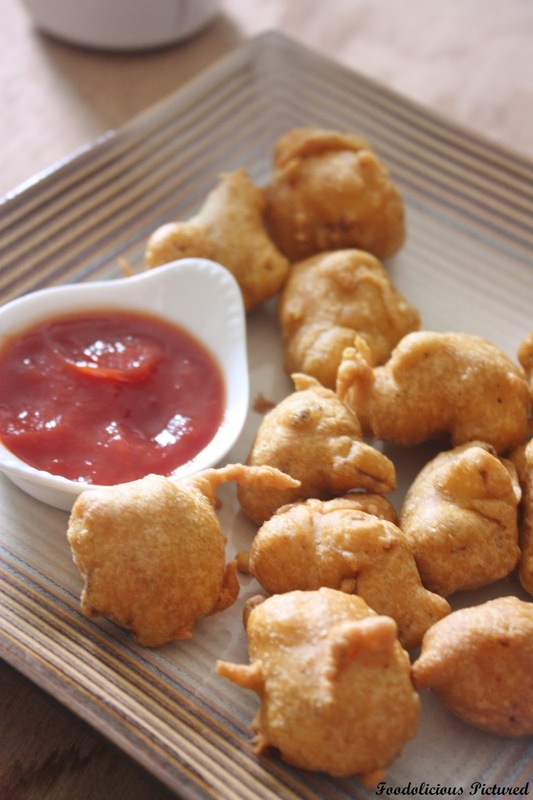 look at those cuties 🙂 wish to have some with chili sauce..
Nice clicks dear, loved those cute bondas… 🙂 Wish I had them for tea!! Scrumptious! 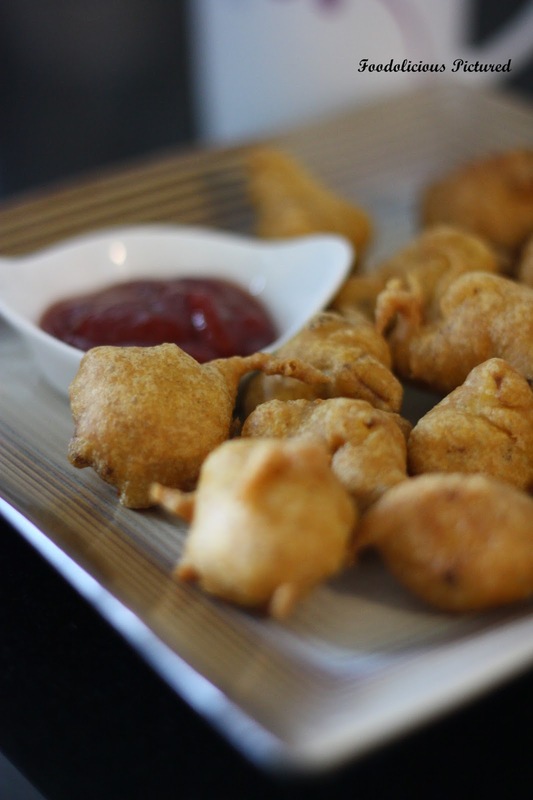 Your pakoras look mighty tempting. Perfect with that chilli sauce. Tea time snack for us is only over the weekends :-)Thank you Nava. Thank you Chitz 🙂 I know they are so perfect for a cloudy eve!